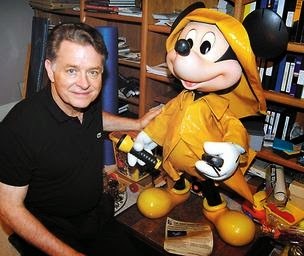 About the Author: Lee Cockerell is the former Executive Vice President of Operations for the Walt Disney World Resort. During his ten year tenure as the Senior Operating Executive he led a team of 40,000 Cast Members and oversaw operations of 20 resort hotels, 4 theme parks, 2 water parks, a shopping and entertainment village and the ESPN complex. He also lent his vital support and oversight to the number one vacation destination in the world. Overview: Warning: May contain spoilers! Lee Cockerell's book is a must read for business owners (both brick and mortar and web based), customer service representatives, sales people and anyone who works with the public. The customer service philosophies and practices he shares are essential for a successful business, yet easy to put into motion and share with staff and co-workers. One of the best things; these rules can easily be implemented right away, by everyone within the organization. A great reminder of may things I learned during my time in the hospitality industry. Review: This book was an easy read, I loved the easy to ready short chapters each reviewing one of the 39 Essential Rules. My three favorite rules were #7 - Look Sharp, #12 Rehearse, Rehearse, Rehearse and #14 Treat Customers The Way You Would Treat Your Loved Ones. Narrowing it down to three was difficult, there are so many great ones!! #7-Look Sharp, I know may of you are saying "It shouldn't matter how you look as long as your are nice." - well you are right, but in the real world we are drawn to clean, neat, professional looking people. Given the choice are you going to use the cashier who is neat, well dressed and has their hair done or the one who looks like they slept in their clothes and didn't brush their hair? All I'm saying is soap is cheap, and so in an iron - don't dress for the job you have, dress for the job you want. Another thing I want to touch upon is that you always represent your company, even when you are grocery shopping or at the local fast food restaurant with your kids. I literally have a 5 minute make up routine I can do in a time crunch, I never leave the house without make up and ironed clothes - and neither do my kids (well Dakota doesn't wear make up but you get the idea). #12 - Rehearse, Rehearse, Rehearse, this one probably hits close to home because I have a musician son, and when he is preparing for his performance he rehearses his songs in the order they will be played right down to how he will introduce each song. It makes a huge difference in his performance and people have noticed. The same is true for working with customers, nothing is more frustrating than dealing with someone who acts like they don't know what they are doing. They could be the smartest person in the company and know all of the rules, but they need to be comfortable using them. Remember what mom always says "Practice makes perfect." Have your employees rehearse scenarios that could happen in real world situations, they will be better at handling situations as they arise - both good and bad. #14-Treat Your Customers The Way You Would Treat Your Loved Ones. This rule is one of the best, you know you would be upset if someone mistreated your spouse, parent or child in a customer service situation. Remember your customers are like your company's family, you want them to return and enjoy themselves while they frequent your establishment and your want them to feel at home and comfortable doing business with you. As Lee's granddaughter said - the first rule of customer service is "Be nice." It's free and it's easy - all you have to do is make the choice to do it. In conclusion, I want to remind you that this book is great for everyone from the CEO to the janitor, each person in your organization has an impact on customer service. Read it for yourself and share what you learn with others in your company, and it's great that most of these principles can be implemented immediately. I promise you will see a change in your employee's morale and in your customer's satisfaction. I definitely agree that businesses will see a change in their company's morale if they adopt even a few of the principles laid out in this book. Great thoughts! I found the book to be very inspirational Heidi, I will be reading it again just to be sure I did miss anything. It took me a long time to accept that the way I look really is as important as what I have to say, but it's true. We're hard-wired to make hundreds of snap decisions before we even get to the point of starting a conversation with someone. Better make sure my appearance sends the messages I want it to! I know what you mean Tricia, I work in a job now that is extremely casual. I need to start taking a little more effort when choosing my clothes forthe day. I totally agree Beth. Friday is the only day I don't cook dinner at home, I called in an order to our (former) favorite Mexican restaurant. When I got there to pick it up it forever for them to acknowledge that I was there, then they couldn't find where I had ordered and said I probably ordered from their location in another city. Never did they offer to go check for it in the kitchen. I left, called the other Mexican restaurant and they now have a new customer. Not even an "I'm sorry, what did you order." Just accusing me of not placing the order in the first place. Awful customer service. Look sharp! Sometimes I think that is a lost art, as our casual nature becomes contagious. Respect for the customer, and ourselves, should be reflected in thought word and deed. Lee and the Boy Scouts have it right! I cannot believe what people look like when they leave the house! The biggest one for me is shopping in pajama pants. I just don't think it takes that much energy to try to look nice. Respect is a definitely lacking today. I have tried really hard to teach my children better, hopefully we can start a new trend Donna. Great review, Donna! I love how each of us has been drawn to a different rule in this book -- but when you put them all together, it really makes for a great set of customer service mantras for us all to live by! I know Mike, I have really enjoyed reading everyone's reviews. This book is great for so many areas of your life, I wil be reading it again. I am enjoying this book, so much so that I am going to have my husband (he is a manager) read it and share it with his staff. There are so many great rules. My favorite is to treat your customers like you would your family. It is really a great book Hayden, there are so many great rules I had a hard time narrowing it down. I'm sure the book will be invaluable to your husband and his staff.